The vice chancellor of Rajasthan University Arun Kumar Pujari on Monday said that educational institutes must come forward to stop misuse of internet. Pujari said this while addressing the 26th foundation day of Assam University in Silchar of Assam’s Cachar district. “In today’s world, internet, or the non-use of mobile phones, cannot be thought of, but, add to it, keeping a blind eye on the misuse of it, can also be inexcusable. For all of it, the new generation of youths and the young should be well educated by all educational institutions,” said Pujari, taking part as chief guest of Assam University’s 26th foundation day at their campus in Dargakona on Monday. 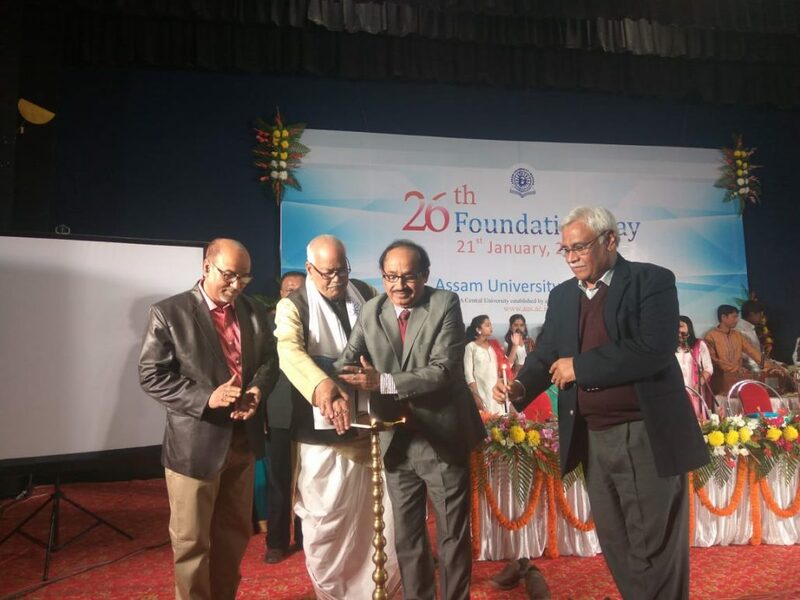 Commemorating Assam University’s 26th foundation day, former union minister Kabindra Purkaystha, Assam University’s vice chancellor and registrar, Diip Kumar Nath and Sanjeev Bhattacarjee, along with chief guest of this programme, Arun Kumar Pujari, graced the occasion. Pujari added, “We in this digital world still linger in a different league. Internet has many positives, but, with it, has many ill effects too. In today’s world, fake news spreads like wild fire with the persistent use of the internet. The youths have to come forward to teach others the use of the internet. It becomes vital for our educational institutions also to teach as to how to use the internet. If this message goes loud and clear among the students, the society at large would be benefited, said the vice chancellor of Rajasthan University. Vice chancellor of Assam University, Dilip Chandra Nath, in his address on this occasion, appealed to all students to work together and take this university a step forward in the days to come.